Mitchell Creek Marina & Resort rents houseboats and cabins on Dale Hollow Lake in Tennessee. 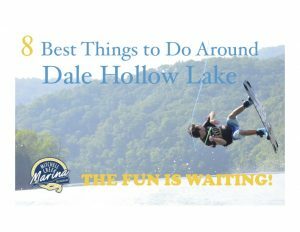 Dale Hollow Lake lodging at Mitchell Creek’s houseboats and cabins is available in a variety of sizes, styles, designs and locations, so there is a houseboat or cabin right for any situation. Whether you plan to stay for only a day or two – or whether you want to stay for a week or more – our Pet-Friendly Mitchell Creek Marina cabins are suitable for a fisherman wanting to get away alone or with a group of buddies, a family on vacation or a group of ladies celebrating their friendship with a girlfriend retreat. Class reunions, family reunions or corporate and organizational retreats have the option of securing lodging, dining in an onsite restaurant, planning water sport activities and renting a houseboat for an evening cruise or team-building sessions – all in one safe, beautiful environment. Special entertainment can also be arranged along the docks, such as music, cookouts and more. 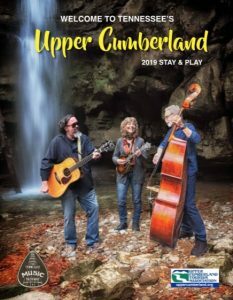 Let us help you plan your vacation, reunion, retreat, corporate event or conference. Monday – Friday 8 a.m. until 4 p.m.
Click below to check out our cabins and houseboats for rent. When you are ready click book now.